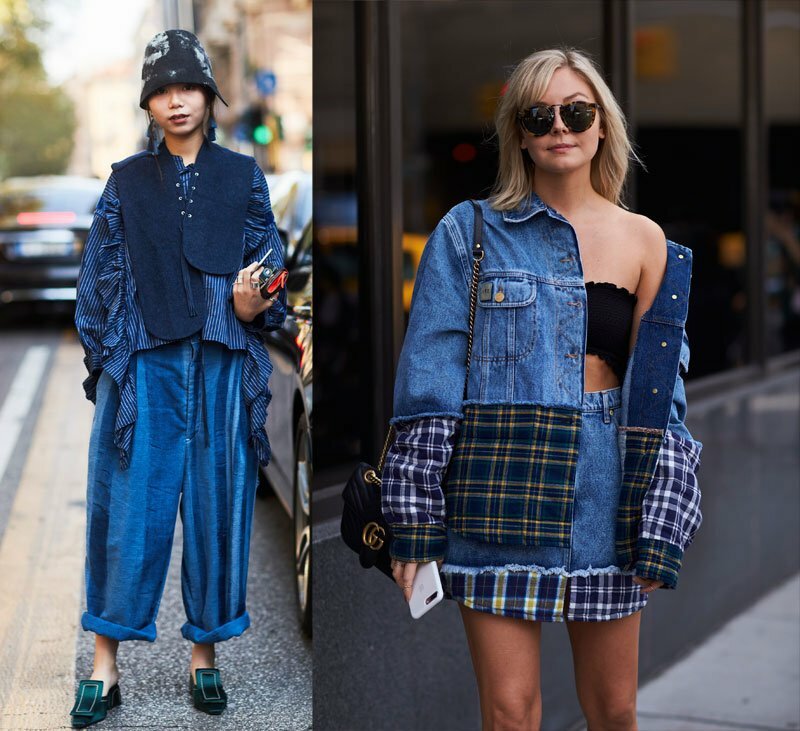 Denim may often be called basic, but given the number of statement denim trends over the last few seasons, an updated moniker might be in order. Denim has gone from being a safe-but-beloved staple to being the piece that makes an outfit truly memorable. Once, mom jeans and skinnies were considered “fresh” if they had a hint of fading or embroidered patch pockets. 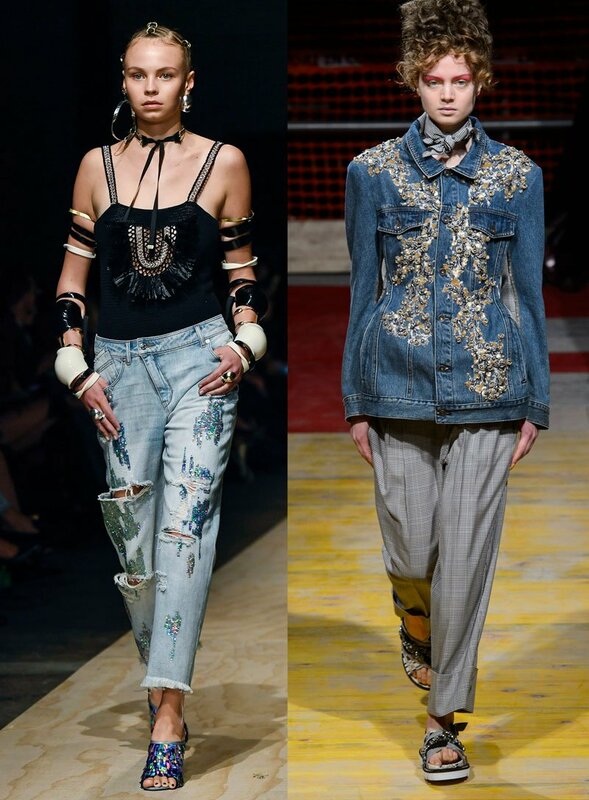 Then came trends like frayed hems, rips, major embroidery and raw hems to broaden our denim horizons. Now, denim is more extra than ever with studs, beading, pearls, sequins, lacing, patches and more — often all at the same time — fancying up jackets, jeans and skirts. Apart from statement embellishments, the beauty of maximalist denim is that it offers just as much versatility as basic denim. Underneath all the accoutrements, there is still a closet staple that can be worn with pretty much everything. Minimalists can dress up their plain sweaters and vintage T-shirts with statement denim. Those who believe more is definitely more can go all out with pieces that have as much of a wow factor as their statement denim. Ready to go beyond basic blues? Click through the gallery below to see 13 head-turning denim pieces that will bring out the maximalist in you.